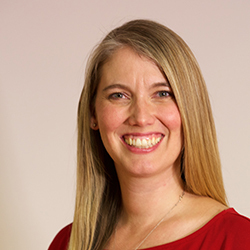 As Senior Director, Methodology and Practice, Sarah leads Coalition efforts in building a global community of practice through training, consultation and resource development. She directs the Coalition’s work in North America specifically on issues of immigration, race, education equity and mass incarceration and has led two national dialogue initiatives, From Brown v Board to Ferguson and the National Dialogues on Immigration. She consulted on the design of Eastern State Penitentiary’s Prisons Today: Questions in the Age of Mass Incarceration which garnered the American Alliance of Museum’s top prize in 2016 and created programming for the 2018 Americans exhibit at the National Museum of the American Indian, which presents the explicit and implicit racism inherent in depictions of Native Americans in US culture. Sarah recently managed the reinterpretation of the home of Nobel and Pulitzer Prize winner, Pearl S. Buck to emphasize Buck’s work in civil and human rights. Prior to her work at the Coalition, Sarah worked as Director of Education at the Lower East Side Tenement Museum and was the founding curator of the Arab American National Museum. She is a consulting expert on dialogue, community engagement and telling marginalized stories for the National Park Service and serves on the Leadership Council for the American Association of State and Local History as well as the American Jewish Museums Advisory Council.